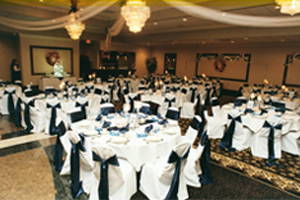 Dear Leonard and Laura, “Thank you so much for making our Wedding Reception beautiful! We received so many compliments on the food and now pass on those thoughts to you, the chef! Everything was great! 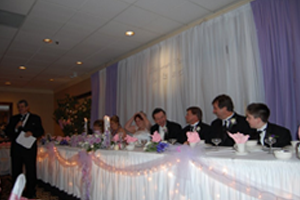 We appreciate all your help and all the added extras from the lights under the table, to the chair covers to the Coney’s.” It was a wonderful Reception! Dear Laura, Just a note of to say thank you for your assistance. Everything looked beautiful. We appreciate everything you did! Dear Leonard, Thank you and your fine staff for making our 50th birthday bash wonderful! The food was delicious and the presentation was exceptional. Our guests had such a great time enjoying the Coney station at 11:00 o’clock. We attend the Easter Brunch and Mother’s Day Luncheon and these experiences have kept us bringing more family and friends back with us each year for these events. 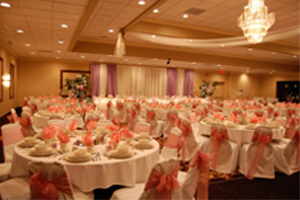 It’s because of you Leonard and your fine staff that our family and friends have also started to come and book their parties with the Century Banquet Center. Leonard, Laura and Staff (We are on first name basis), You did it again!! The food and service were excellent. I can’t say more. To the staff of the Century Banquet Center! Thank you for making Sebastian’s 1st Communion celebration so enjoyable and stress free. The service and food were great. The day was truly special thanks to you guys!!!! Dear Century Banquet Center Staff, Thank you for great food, great servers and beautifully decorated rooms and wonderful service to our ladies ministry. We appreciate all you do for us! Dear Leonard and Laura, Thank you for helping make our Son and Daughter-in-law’s baby Shower such a wonderful event! 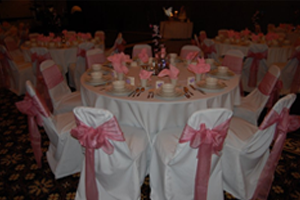 We received many compliments on the delicious food and the lovely hall amenities and decorations. Thank you both for your special efforts in our behalf.